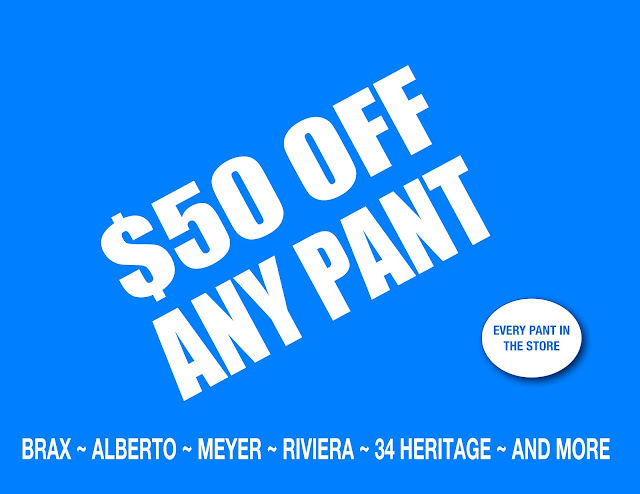 FINNS ON BROADWAY: It’s October and our “ BIG PANT SALE" is on. Every pant and jean in the store. It’s October and our “ BIG PANT SALE" is on. Every pant and jean in the store.